Step 1 Melt the coconut oil in a large saucepan over medium heat. Add the leek and a pinch of salt and cook gently for 10 minutes or until softened and golden. Step 2 Add the stock and most of the cauliflower florets (reserve 1 cup small florets for garnish). Step 3 Bring to the boil, then reduce the heat and simmer, covered, for 20 minutes or until the cauliflower is tender. Step 4 Add the brazil nuts, then blend with a stick blender until smooth and creamy. Season to taste with salt and pepper. Step 5 To make the topping, melt the coconut oil in a frying pan over medium–high heat. Chop the reserved cauliflower florets into a rough crumb, add to the pan and cook until just crunchy. Step 6 Divide soup between four bowls and top each bowl with the crunchy cauliflower, chopped brazil nuts and parsley. Cauliflower is the hero of this meal, and as it should as it is an amazing vegetable. 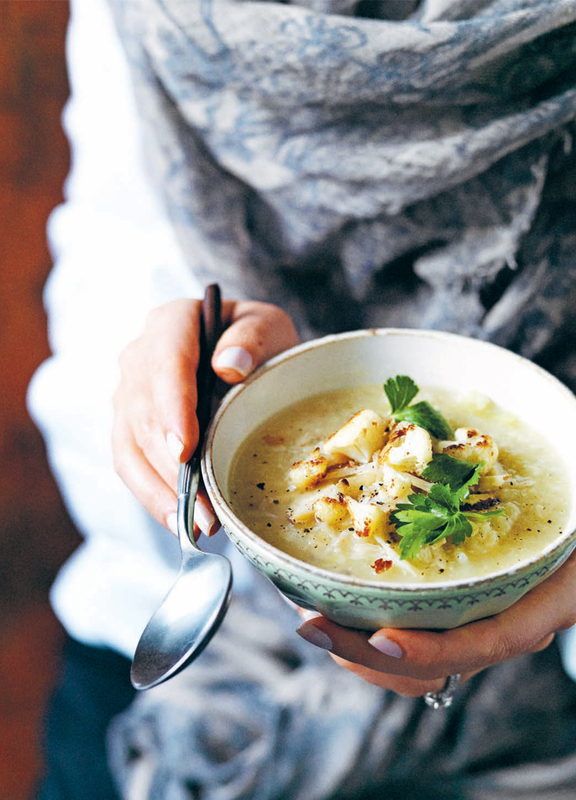 You wouldn't think so but cauliflower is actually a great source of Vitamin C, which is especially helpful during the colder months to keep your immunity strong. with the addition of brazil nuts, they up the selenium in your diet.